This 4.75" x 3.5" Flat Ceramic Wedding Cake Ornament is hand painted, glazed and kiln fired per order. 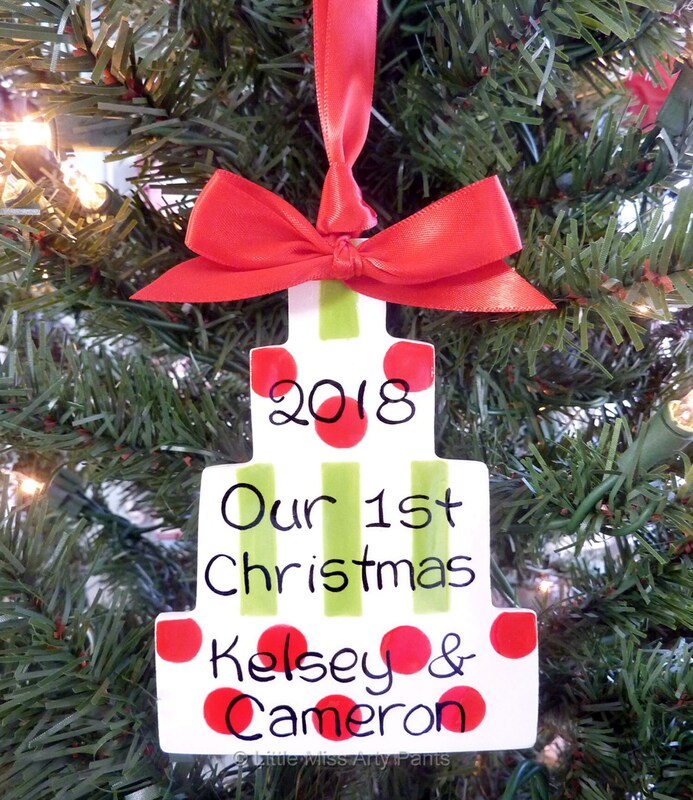 Each ornament includes couple's first names and year and "1st Christmas". 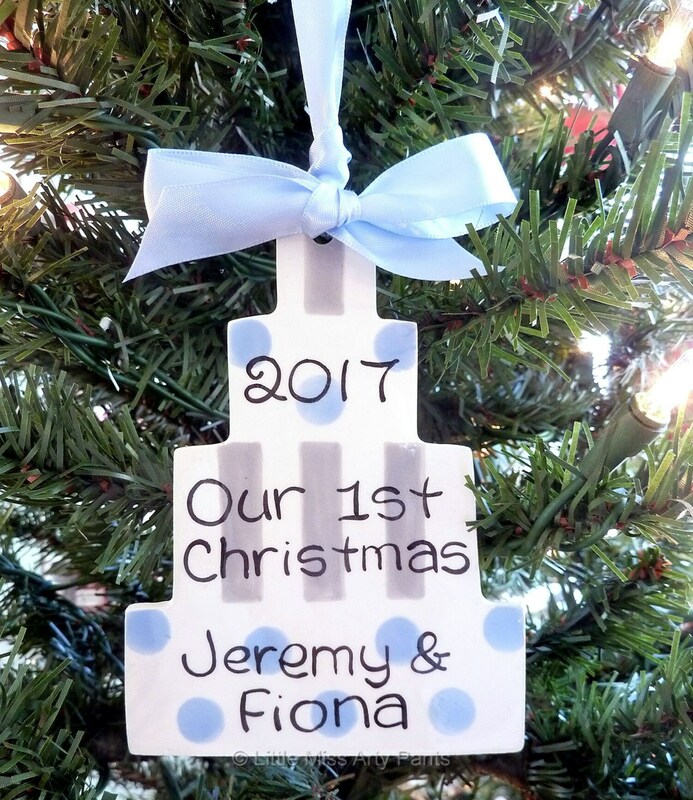 Any text is available as long as it will fit on the ornament. Matching ribbon is attached for hanging. A one-of-kind ornament for your tree and makes a great gift for the holidays. 4.75" x 3.5" hand painted flat ceramic ornament wiht ribbon for hanging. 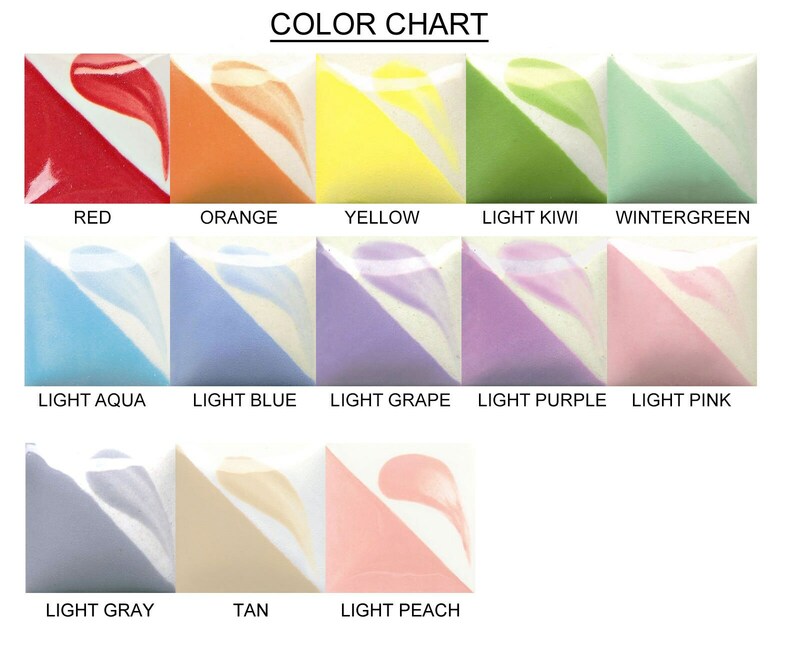 If you do not see the colors or design you want listed above, please don't hesitate to contact me prior to ordering and we can discuss it!